Heat the oil in a frying pan and fry the chicken and onions until browned. 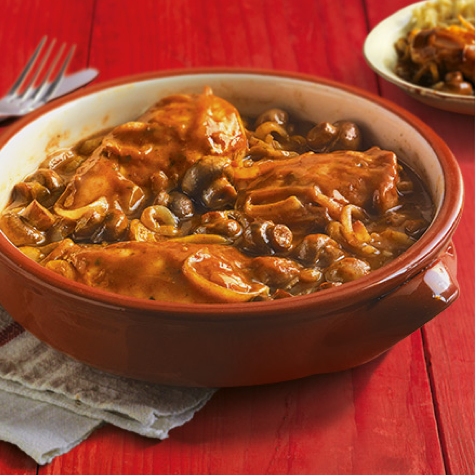 Place in an ovenproof casserole dish with the mushrooms. Blend the contents of the sachet with the tomato puree and the water and add to the dish. Cover and cook in the oven for 1 hour or until chicken is tender and cooked through. Enjoy with baked potatoes and green beans.